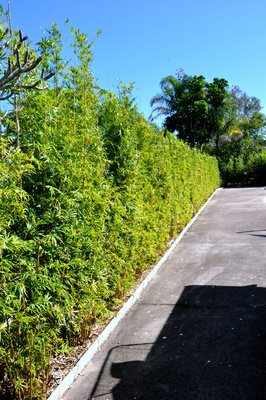 The Goldstripe can easily be trimmed into very tidy and upright hedges as in the photos next to the driveway shown here. There is no exact rule on how far apart they should be spaced, as it largely depends on what sort of look you are after, and your budget. For wider garden beds (say at least 1m wide), we would usually recommend spacing them at 1m apart if you want the clumps to join together at the bottoms. 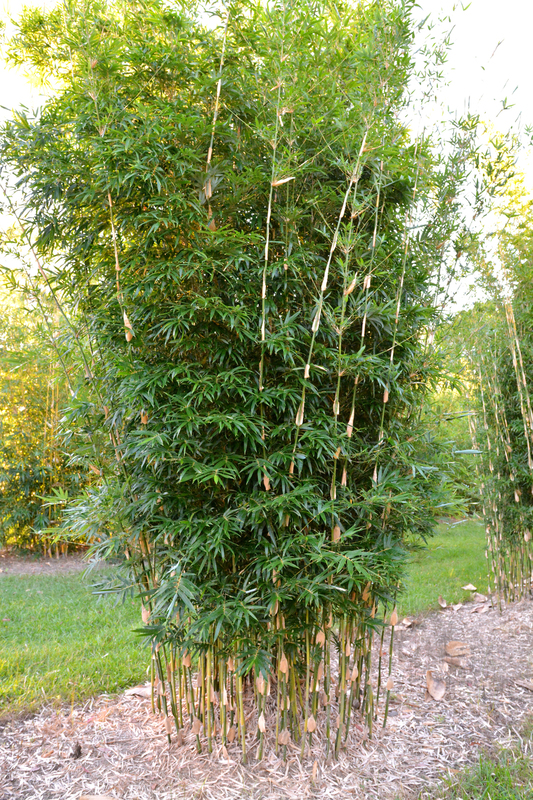 If you spread them further apart (1.5 or even 2m), then you will still get complete coverage at the tops, but you will have gaps between the clumps at ground level. 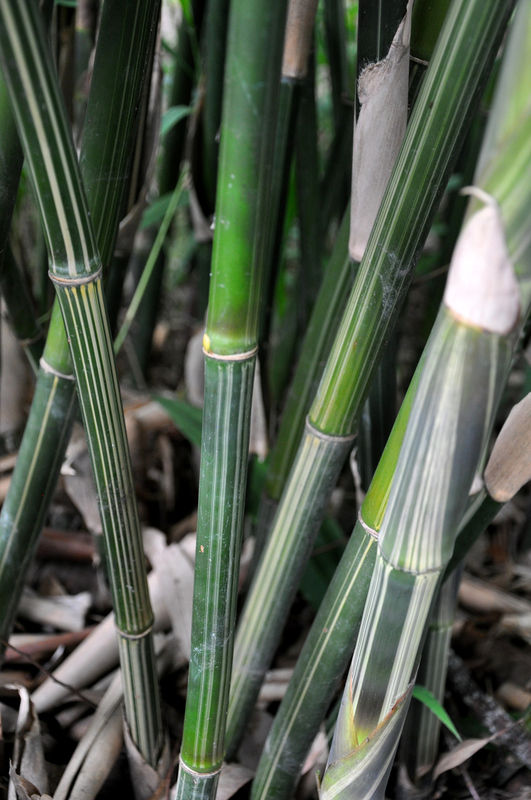 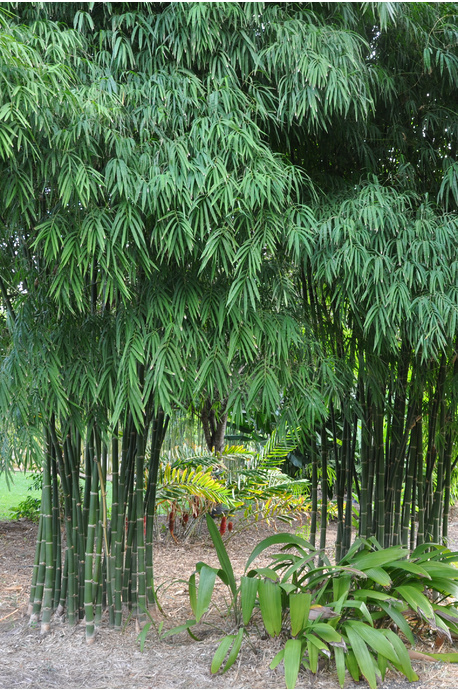 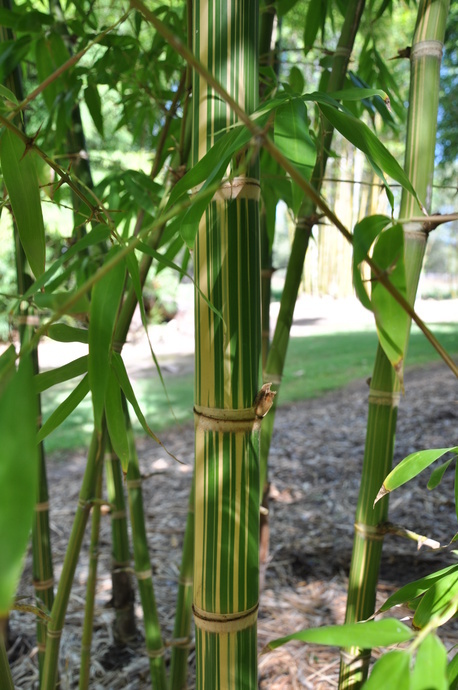 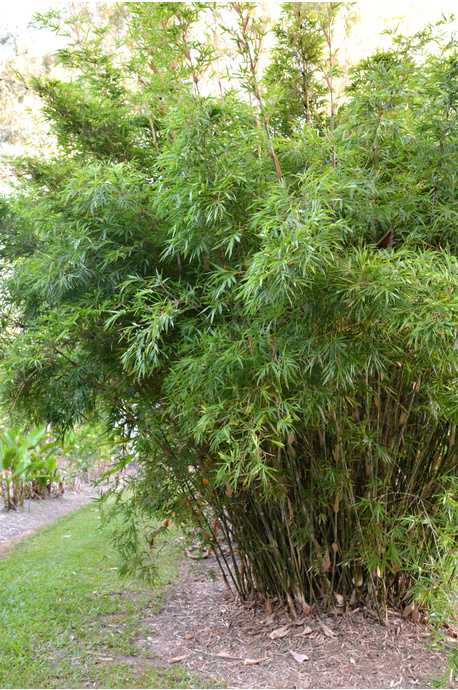 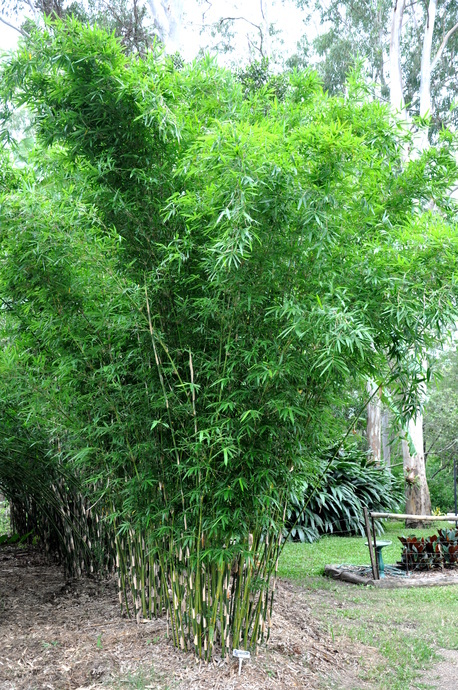 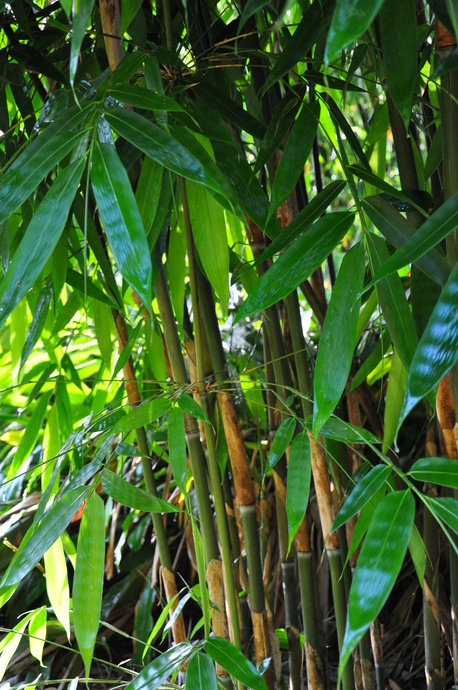 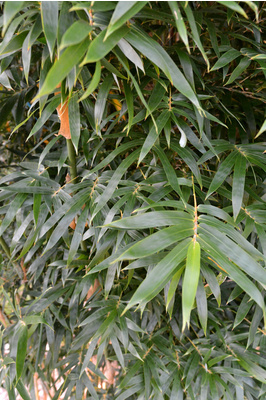 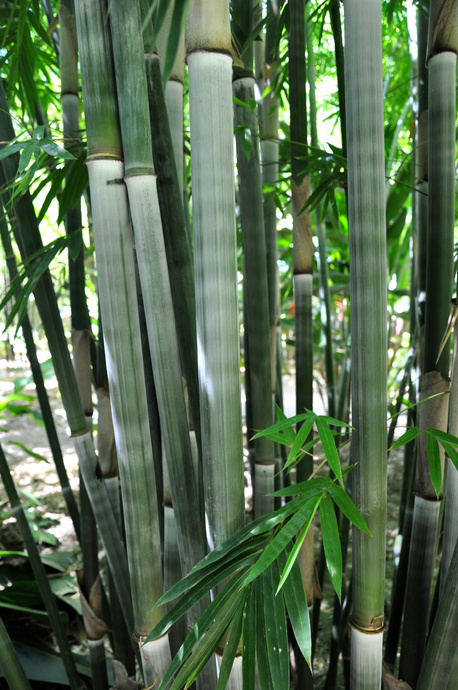 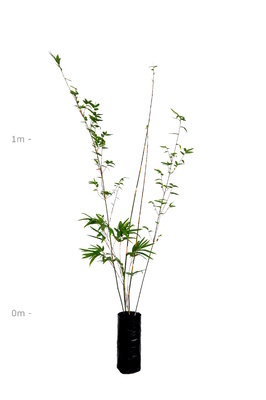 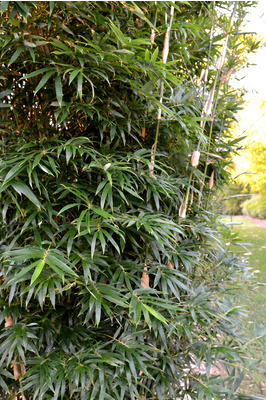 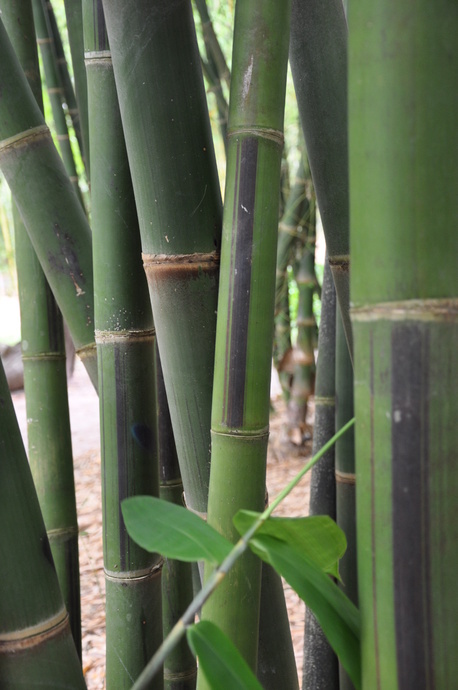 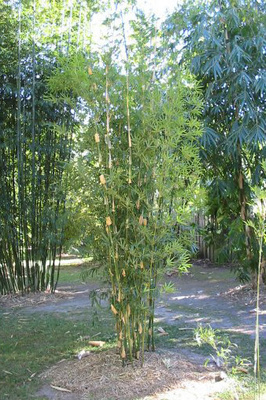 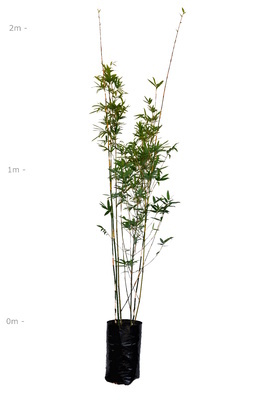 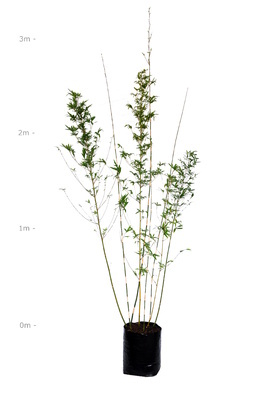 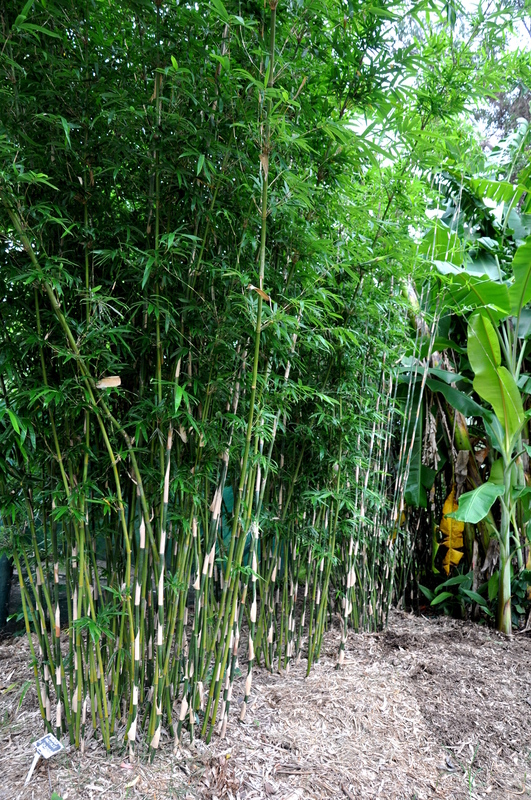 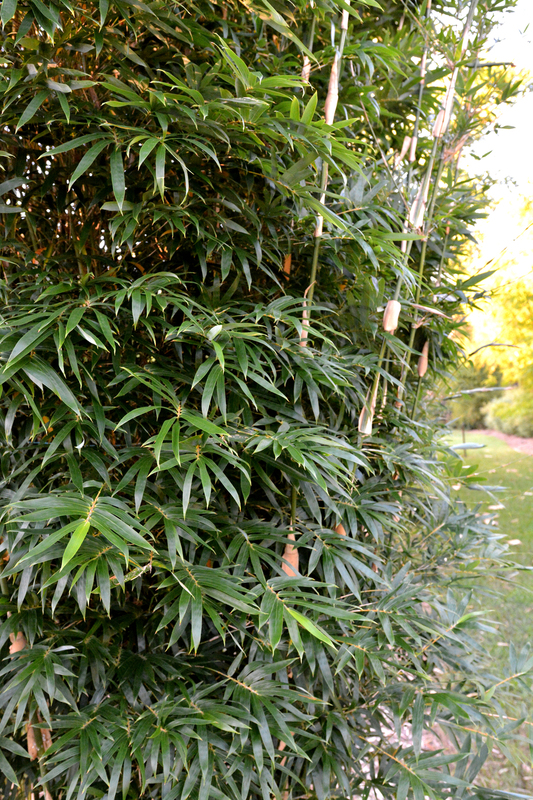 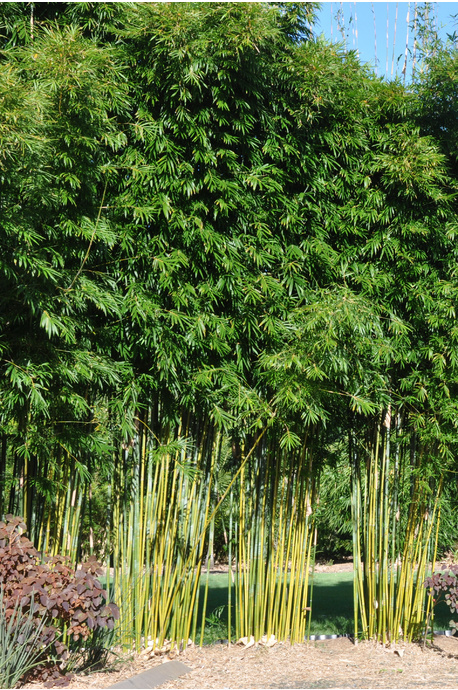 In very narrow garden beds, the bamboo is usually a little bit slower growing since the space for roots is limited. 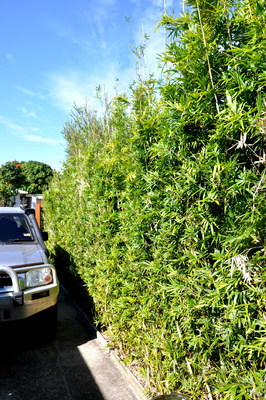 Therefore, to provide a good uniform cover at ground level, you can plant at anywhere from 0.5m to 1m spacing. 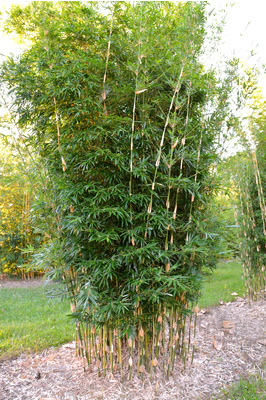 The closer together you plant them, the less time it will take to get complete cover (clumps joining together). 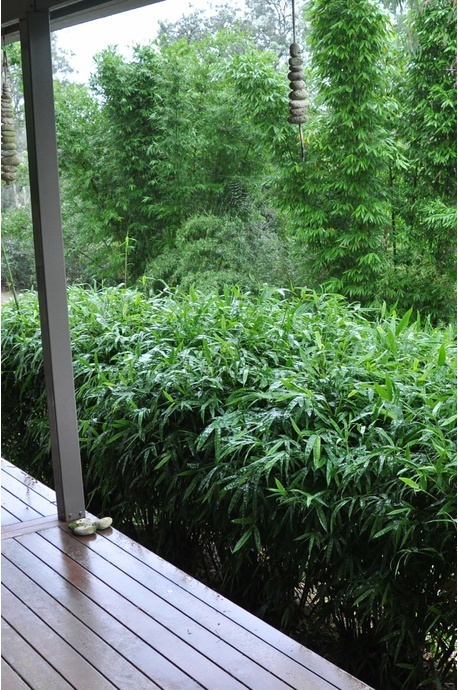 As mentioned, it therefore becomes a question of budget, versus how long you are prepared to wait.